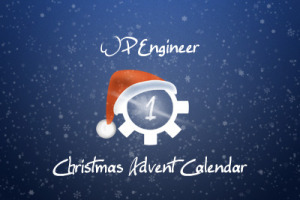 Advent Calendar – Only Update The Core – The Fast Way! Same procedure as every year! Most of our readers already know of our Advent Calendar tradition, which we have every year before Christmas. What exactly an Advent Calendar is all about, that is explained on this post. We open a door every day, which contains a little gift for our readers, by providing them a WordPress tip or trick each day until December 24th at WP Engineer. So we hope you will be exciting to see what tip, hack or news will be behind the door the next morning. Enjoy a new little WordPress gift every day until December 24th. Since WordPress version 3.2 updating an existing installation is faster. A constant entered in the wp-config.php makes sure that everything in the folder wp-content won't be touched and so are Plugins or Themes, which previously came along in the Core won't be updated or reinstalled. And tomorrow another door will be open of our Advent Calendar! Also the hint: if you would like to write a guest post, please send us your topic or content via eMail. Personally I think the use of HTML5 makes sense and I like the new possibilities, also in the field of semantics. WordPress has a feature on delivering content that come from the editor – setting breaks and paragraphs. Since forever WordPress is the reason for that, not TinyMCE and the same applies to the integration of images or other elements of this kind. In order to use HTML5 in a perfect way I had to replace the p-Tag with the figure-Tag and so is this small filter was created.